Amidst the mountainous valley of Himalayan range and has River Rangeet on the Rathong-Kalet interfluves, flowing on its western side, at an altitude of 6500ft lays a serene town in the western district of the landlocked state Sikkim called Gyalshing or Geyzing which is said captivate anyone with its surreal beauty. Located 107km away from the bustling town Gangtok on the way to Pelling, Gyalshing, the capital of the western district of Sikkim, apart from being a scenically blessed town it is famous among the tourists for being pilgrim centre for housing a number of holy monasteries like Pemayangtse and Sangachoeling. Gyalshing, serving as the main headquarter of West Sikkim is one of the important towns in the Sikkim region. Cradling on the lap of Himalayan range, Gyalshing has many places of interest in and around it which may hype the interest of tourists. Pemayangtse Monastery, located at a distance of 6 km from Gyalshing, is a beautiful monastery and one of the main attractions of Geyzing. 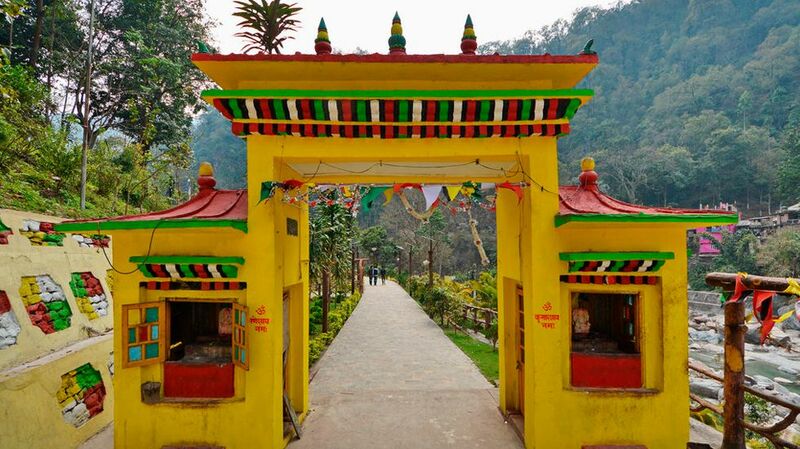 Built in 17th century Pemayangtse Monastery is one of the oldest and most important monasteries of the Sikkim region. It also boasts of a collection of antique Buddhist idols, ancient scriptures and sculptures. In addition, tourists visiting this monastery can also witness the ruins of the first palace of the Chogyal Kingdom making it a must visit destination of Gyalshing. Another chief attraction of Gyalshing is Pelling, a beautiful small town, located at a distance of 10 km from Geyzing. At Pelling, tourists can enjoy beautiful views of several peaks such as Koktang, Rathong, Kabru, Kumbhakarna, Shimbho, Kanchenjunga, Pandim, Narsing and Siniyalchu. Gyalshing not only boost as a pilgrim centre but due to its unique location at the ridge of Himalayas Gyalshing has been dotted with trekking route towards the higher altitude destination of the Sikkim region making Gyalshing a must visit destination for the adventurer. The most famous trekking route from Gyalshing is towards Khecheopalri Lake, a sacred lake of Sikkim for both Buddhists and Hindus. The lake is situated in a small valley and is surrounded by hilly forests in such a manner that it remains hidden in the rich forest cover. Tourist can learn more about the sikkimese Buddhist culture by observing the Chaam or monk dance festival in Pemayangtse Monastery while visiting Gyalshing. Cuddled in the lap of Himalayan range with decades old monastery and trekking trail leading to the most sacred destination of Sikkim region, Gyalshing in the Western District of Sikkim with its astonishing beauty has become a must visit tourist destination while traveling to west Sikkim. Inflate your lungs with the cool mountain air while observing the infrastructure of one of oldest monasteries and letting your mind be filled with the serene ambiance can be rejuvenating feeling which can be experienced in the scenically blessed town Gyalshing. Blessed with a pleasant weather the beauty of Gyalshing can be relished by the tourist throughout the year but the best time to visit the picturesque hamlet Gyalshing is in winter from mid October to December when the sky is and tourist can enjoy the panoramic vista of adjacent mountains and valley. If the tourist doesn’t mind the cold weather visit Gyalshing during January to see it being covered under the white layer of snow. If is best advised to avoid rainy season from mid June to September since the roads of the hilly region become more prone to landslide after a heavy rainfall.